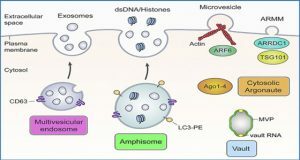 Extracellular vesicles (EVs) function as important conveyers of information between cells and thus can be exploited as drug delivery systems or disease biomarkers. 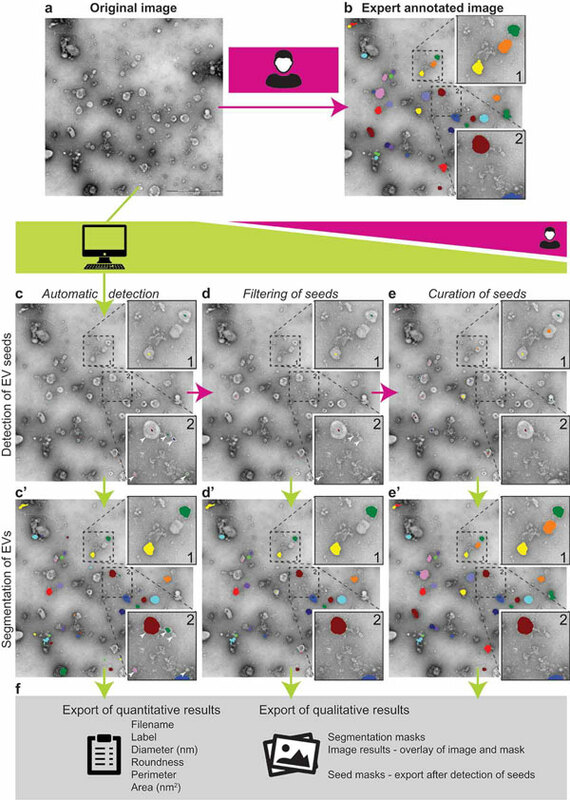 Transmission electron microscopy (TEM) remains the gold standard method for visualisation of EVs, however the analysis of individual EVs in TEM images is time-consuming if performed manually. Masaryk University researchers present here a software tool for computer-assisted evaluation of EVs in TEM images. 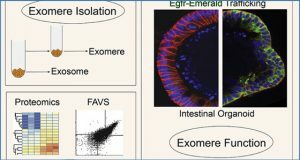 TEM Exosome Analyzer detects EVs based on their shape and edge contrast criteria and subsequently analyses their size and roundness. 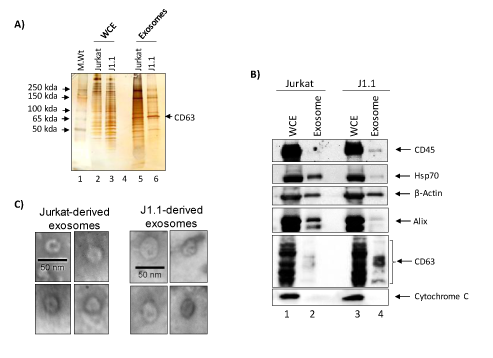 The software tool is compatible with common negative staining protocols and isolation methods used in the field of EV research; even with challenging TEM images (EVs both lighter and darker than the background, images containing artefacts or precipitated stain, etc.). If the fully-automatic analysis fails to produce correct results, users can promptly adjust the detected seeds of EVs as well as their boundaries manually. The performance of our tool was evaluated for three different modes with variable levels of human interaction, using two datasets with various heterogeneity. The semi-automatic mode analyses EVs with high success rate in the homogenous dataset (F1 score 0.9094, Jaccard coefficient 0.8218) as well as in the highly heterogeneous dataset containing EVs isolated from cell culture medium and patient samples (F1 score 0.7619, Jaccard coefficient 0.7553). Moreover, the extracted size distribution profiles of EVs isolated from malignant ascites of ovarian cancer patients overlap with those derived by cryo-EM and are comparable to NTA- and TRPS-derived data. Usually, TEM images (a) of EVs are manually analysed, which is time consuming. TEM ExosomeAnalyzer is able to detect EVs with almost no input from the user. (b) EVs manually labelled by experts; these images served as the references for the software tool performance being evaluated in three different modes (with decreasing levels of automatic analysis and concurrently with increasing levels of human interaction). The Fully automatic mode (left column – c and c’), Filtered seeds mode (middle column – d and d’) and Curated seeds mode (right column – e and e’). Lime green colour highlights processes performed by the software tool, while magenta colour corresponds to processes performed by the user. In the first step of automatic detection, seeds (= centres) of EVs are found (c) and in the second step EVs are segmented (= their borders are found) (c’). Seeds of EVs which do not meet the requirements set in “Parameters” prior analysis are filtered out in segmentation step. An example is shown in box 2; in detection step, five seeds were found (white arrowheads) (c), but after segmentation (c’), only three EVs remained and two original seeds (dark blue and light green) were filtered out due to their size lower than 30 nm (default value, adjustable). If the user is not satisfied with detected seeds, the seeds at wrong positions can be manually deleted (d), and then segmented (d’), pink and dark green seeds in box 2 serve as an example. Moreover, if some seeds are missing, they can be manually added (e) and then segmented (e’), orange seed in box 1 serves as an example. If the user is not satisfied with segmentation results, they can be also modified prior the export of results. Finally, qualitative (images and masks) and quantitative results including diameter, roundness, perimeter and area of EVs are exported (f). 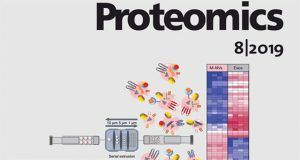 Availability – TEM is available at http://cbia.fi.muni.cz/exosome-analyzer free of charge for non-commercial and research purposes. The web page contains also detailed description how to use the software tool including a video tutorial.